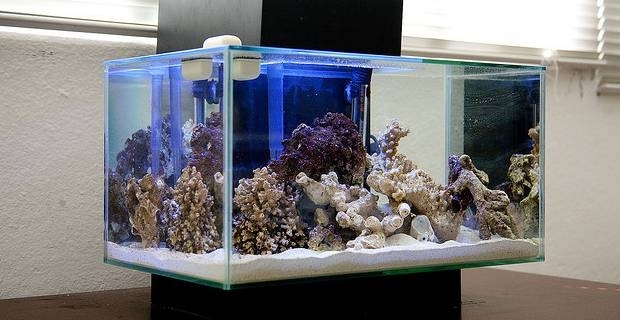 Having an aquarium in your home can be wonderful. They can add something different to a room and can look fantastic too. Fluval are a big name for aquatic products and tanks. While some of us would be happy with any tank that doesn’t leak, if you really want something special, have a look at Fluval Aquariums. Fluval Aquariums have a wide selection of tanks available, so you're sure to find something that suits your needs. Whether you are looking for something small for your desk at the office or something large for your home, they have something for you. Their ranges include the Edge range, Nano range, Vicenza range, Roma range, Venezia range and their famous Profile aquariums. The Edge range offers 360 degree viewing and come in sleek black or white. The 23 litre version will cost around £100 and the 46 litre version will cost around £150. The Nano range centres around smaller aquariums that would be perfect for your office or a small area of your home that needs brightening up. They come with bright LED lights and an internal filter. A 10 litre tank will cost around £60 and the 19 litre will cost around £80. The Venezia range are tanks and cabinets that fit snug into corners. The Fluval Venezia 190 aquarium and cabinet oak is available for around £600. It comes with heating and lighting systems too. In the Profile range, the aquarium, canopy and cabinet are integrated into one unit. They are available in stainless steel or black and aluminium and are available for between £500 and £670. They would look great anywhere. There is a wide range of Fluval aquariums available and finding one that suits your needs shouldn't be too difficult. If you are new to aquariums Fluval are a great choice because they come with a guide on how to maintain them. What's more, your fish will love it so go on and spoil them with a new Fluval aquarium!